How many times have medical malpractice attorneys seen the results of medical errors caused by fragmented care? Unfortunately, some patients are at high risk for medical malpractice simply because of the complexity of their regimens. Pat recalls a case in which she summarized medical records for pain and suffering. A young woman was on a complex regimen of chemotherapy. The oncologist hand calculated the doses of Methotrexate and Leucovorin. He made a mathematical error when he ordered the final dose, which resulted in the patient dying from toxic epidermal necrolysis or loss of all of her skin. The more medical diagnoses or conditions a patient has and the more complex medications she is taking, the more risk she has for medical error. 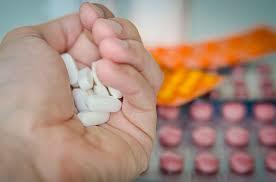 Just taking two medications can increase the risk for dangerous complications or side effects. As you multiply the number of conditions and medications that need to be balanced, the risk rises. The average 65-year-old, for example, is taking 5-6 medications a day, not counting vitamins and other supplements. As health care becomes more specialized, the more likely it is that these drugs are being prescribed by multiple practitioners. The burden of clear and accurate communication between all of these caregivers is on the patient. Language barriers, cognitive issues, lack of medical knowledge and other factors influence how well the patient is able to communicate. If the patient forgets to communicate all the conditions for which she is being treated and the correct names and doses of medications she is taking, it is easy for errors to occur. Not only that, she can take something that seems relatively harmless like an over the counter cold remedy or aspirin and suddenly find that it seriously interferes or dangerously interacts with medications she is already taking. Even certain foods can cause interactions. It can be mind boggling to try to keep all the details straight, especially when the patient is not feeling her best. It is always a good idea to take medications to an appointment so a healthcare provider can see what the patient is on. This is often called the “brown bag” technique. case management and care coordination is a core role of nursing. As health care becomes more specialized and complex, there is an increased need for care coordination and management. The Affordable Care Act attempts to address this important need by requiring health insurance plans to provide coverage for this role. The nurse is knowledgeable about a wide variety of conditions, drug complications, and interactions. Plus, he or she is able to communicate effectively with a wide range of specialists. In this way, the nurse may be able to integrate the patient’s care and even reduce the number of medications patients are taking. I am not suggesting that patients give over their power and responsibility for being aware of their conditions and medications to someone else. They always need to be aware of what they are taking and why. What I am suggesting is that they may also benefit from having a knowledgeable professional at their side. This person can oversee the various aspects of treatment and be an advocate for patients whose care becomes complex. In cases of multiple medical conditions and medications, the risk for adverse drug events, interactions and errors can be radically reduced by adding a professional care coordinator as a member of the healthcare team. Modified from an article written by Aila Accad, RN, MSN.